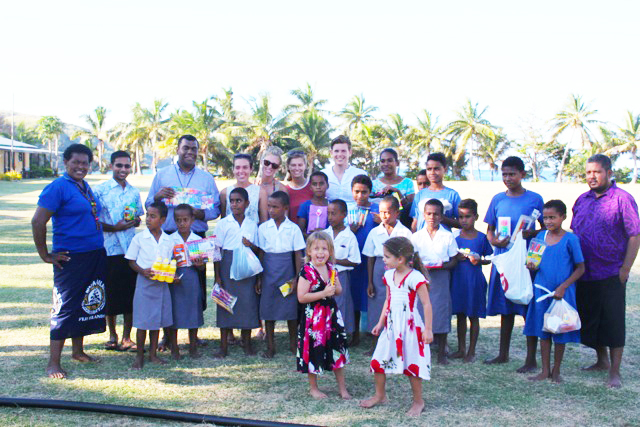 The Barefoot Collection in Fiji has been a part of Pack for a Purpose since February, and we are happy to hear that they continue to receive more and more supplies for Namara Village School & Kindergarten. They recently received cups, plates, bowls, cutlery, stationery, workbooks and musical instruments for the school, which supports 85 children from the ages of 3 through 13. The Barefoot Collection continues to make its Big Impact even bigger, recently adding a library and a health center to the list of projects it supports. The library provides literature and resources for 77 children at the primary school where it is located, in addition to more than 400 community members. The health center serves about 500 children and 315 expectant mothers annually. Pack for a Purpose is delighted to have participants that show such a strong dedication to their communities.